When Janice sent me these pictures to post side-by-side as we reflected on our three month benchmark of working together in the Fast Start Program, these are the first words that came to mind: are these the same person? The woman on the right looks decades younger and lighter – in body and in spirit – than the one in the photo on the left. Janice’ pictures inspire me because they tell the story of what you can achieve when you take action on making changes – again in body and mind – to say ‘enough’ to unsatisfactory lifestyle habits and embrace a different and brilliant destiny. I honor and congratulate Janice for the amazing transformation that she has worked to achieve. And I thank her most humbly and sincerely for allowing me to share her very personal reflections with you. These were the first words Janice spoke to me when we started to work together. Janice continued to describe her frustration with being able to “eat perfectly” for two days and then “something will happen and I’ll stress binge”. She was very clear about how her frustration and stress were affecting her life, her energy levels – and her relationships. She was clearly ready for something different. After the first month, I asked Janice to write a self-reflection of her progress so far. This is always very helpful and enlightening, providing good feedback for the student as well as the coach. It’s been was a long process for me to finally find Lani. With a family history of diabetes, I had been told that I was borderline and I did not want to end up with the disease. I began reading about various ‘plans’ and stumbled upon eating plant-based food. Long story short, I have been plant-based for 2 years . The issue was that I couldn’t put it all together – I would exercise like crazy and eat plant-based food. With the eating, I would last for three days then crash. Something definitely did not sink in. I began reading again and I found Lani through her website. Reading about her Fast Start Program, it sounded perfect for me. The opportunity of having one-on-one sessions with a coach would be awesome. I ordered her book Fit Quickies: 5 Minute Targeted Body Shaping Workouts and emailed her, thinking that I would get an email back indicating that there was a waiting list. However, I had the good luck to hit it right! She answered back almost immediately, luckily my wait was not too long, and Lani scheduled a preliminary conversation so we could talk to see if we were a good match. Through her “Three Pillars of Success” as described in the Fit Quickies book, I have been able to meet day- to- day challenges by understanding and working through the Pillars toward my long term goal of getting and staying healthy. It has become a non-negotiable process for me. Through our weekly conversations, Lani has helped me to understand how and why I could set myself up for success. The Exercise pillar is one that I have practiced for many years. I have always kept moving with some sort of exercise 7 days a week. Yet I couldn’t understand why I struggled with my weight continually. I obsessed about my weight and food. 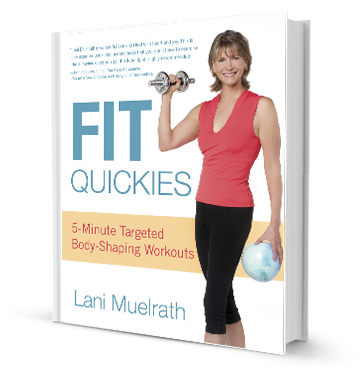 In the Fit Quickies book, Lani explains the importance of eating more food earlier in the day. The weight of the food, the stretch of the stomach and getting the right nutrition – what Lani calls the ‘rules of satiety’ helps control the bingeing and stress eating. This was hard for me because this basically doubled the amount of my breakfast. I trusted Lani on this one – learning to break old habits. It’s most definitely the right thing to do. Lani taught me that at the point of stress, practice something else – a different response. I work to control stress- eating day- to -day by getting up and getting involved in something else – even if it is cleaning out a drawer. If I am out of the vicinity of the kitchen, I am learning that I don’t think of food unless I am hungry. Yet sometimes I just go with the feeling to see how my body reacts. Generally, I now know that I do not need to eat. Along with activity, I use a short breathing exercise to work through my stress. I am also a person who wakes up a lot at night. The breathing exercise has also helped me to sleep better. It’s been about 3 months since I began working with Lani. I am down almost 15 pounds and am letting my body decide where my weight will land. I now have the confidence in what I am doing with my body to stay healthy and land at that good body weight. My other attempts at weight loss were always successful….for a time. Of course, I was always starving so it was pretty easy for me to take a ‘sample’ of a not-so-healthy food item..and unfortunately keep going. This time is so different for me. Changing my mindset about changing my body has probably been the single most important step I have taken. I never walked down that path in the past so it was easy to think that I could always loose a few extra pounds if I wanted to. Now, I have learned to modify my eating based on listening to my body. If I’m not hugely hungry, I may split up a meal or just make it smaller. I have learned that some types of hot cereal do not make me feel good – something that I have ignored in the past – so I have changed what I eat. If I’m not hungry at all – I wait until I am. Wow – another first! I could not have gotten here without Lani’s coaching. To have the wisdom of someone who has truly taken the same steps to get to healthy is priceless! When I changed my eating to plant-based, I immediately cut out meat, fish, chicken, dairy and oils from my diet. I knew that if I didn’t go cold-turkey, I would continue to eat those foods. I had still tried to use portion control because that was my history. I also ate processed foods – chips and the like. I felt better but I wasn’t loosing weight and had modest increases in energy levels. With Lani, I learned that it is important to eat enough at breakfast because that really does set the tone for the day. I was nervous about increasing what I ate at that time, but I took the plunge! It magically worked from the first day. With processed foods, I knew I had to get rid of them, too. I learned to eat a small meal about 1 1/2 hours prior to exercise so that I had the energy to function. I learned that it’s not as important to stick with a scheduled time to eat as it is to eat when you are truly hungry. This has also helped my previous stress eating because I am not hungry all of the time and don’t always have food on my mind. My energy has reappeared and I love what I eat! 1) Know in your mind that changes in how this way of eating works are non-negotiable. From Lani: “you must change your mind to change your body.” This is absolutely true! If I waiver when in the kitchen – I walk out. It’s amazing how the ‘hunger’ immediately goes away – yet if I’m truly hungry, I eat. 2) Move your body with whatever you like to do. I work at a standing desk during the week and my best exercise from Lani’s “Fit Quickies” is Fit Quickie #1 – 7 Seconds to a Flat Belly. I will need to do this forever!! 3) Important – don’t focus on past actions / failures – you will never climb out of ‘the hole’. Celebrate each success. Here’s a pretty interesting item…today I showed my son the two pictures and asked him if he knew who it was. I had not shared any of the process that I have followed yet. He looked at the pictures with a puzzled look on his face for longer than normal and then the light bulb of recognition went on! Of course he lovingly said the first picture looked like a mug shot! He congratulated me on a job well done. Every time I read Janice’ words, she inspires me. Janice has been very generous with her thanks, but I keep telling her that she has done the work and I am just the messenger. Because Janice has so earnestly applied the Three Pillars as I presented them in the book Fit Quickies: 5 Minute Targeted Body Shaping Workouts – and because that is, actually, the avenue through which we met – then how perfect to celebrate Janice’s success with a giveaway of the Fit Quickies book? Of the 3 pillars – the food, the fitness, or the frame of mind – which is your strength, which is your greatest challenge? Be sure to leave your name and correct email in the ‘reply’ form below so that I can notify you should you win! Winner will be selected from a random drawing. 3) Be sure to include your email (you are prompted for it when making a comment; no one sees this but me!) That’s the only way I can contact you to tell you you are the winner! P.S. Just to help out, here is the 3 Pillars video for a quick review; the transcript of this video is available here. Wow! First, congratulations to Janice for this – thank you Janice for sharing your story with us. And the pictures! How great. 1) the food is pretty good for me, though I still struggle a bit and want to come to a better place – kind of like Janice describes. 2) I guess my reply to #1 means my work area is mindset – though the fitness could use a little help too! Collette, I’m sure Janice will be thrilled to see your comments. Thanks for your entry in today’s giveaway! Great success Janice! 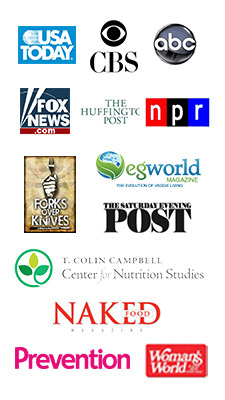 I have been plant- based for a year and initially lost 20 lbs., and cut cholesterol by 50 pts. But greatest challenge is excersise: I have had several years of SI joint dysfunction with now L 4&5 disc pain that limits me a lot. My strength,mif anything, is usually my mindset, as I meditate, and teach breathing in schools. Thanks! I’m really encouraged by your story Janice and thank you for sharing it with us here on Lani’s website. I do well with the food, it’s the fitness where I need some help! 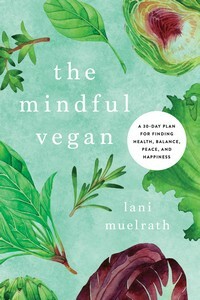 I think the 5 minute fitbreaks that Lani talks about in her book will be a good solution for me – I just bought the book today and am excited to get the new videos that came with the offer. Hi Janet, thanks for stopping in and sharing your thoughts! What an amazing and inspiring story Janice and Lani I will be sharing your link with my clients and friends, I find your website very user friendly and you are a great role model for those who aren’t 21 any longer (I’m guessing you’re not although you look great!). I’m a little lapse on the fitness side of things! I think I could probably do with a little more exercise than walking my dog 🙂 . Many thanks and keep on inspiring. 21? Long time ago! Happy to be with you on this ongoing journey and love your post today. What a great story. All too often it is the 20-30-somethings who flaunt their body fitness. But here’s Janice who most obviously could be a 20-something’s mother. HOORAY for Janice. She should be the role model for all us mature women. Quietly I have lost 30 pounds plus in the past year with a plant based diet and daily exercise…yoga, Pilates, but not aerobics because I have a neuroma which I don’t want to irritate. I feel better, have more energy than before, and really look pretty good for a “Senior Citizen”. Sybil – love your enthusiasm and attitude – being the best we can be at any age or health status is what it’s all about. Thank you for sharing your story. Thank you Janice for sharing your story. The before and after photo tells it all. You look so much happier in the second photo! As far as my strength, I really like the fitness part and am faithful with that. My weakness would be food. I’m good, but sometimes have the mentality that a I can eat better tomorrow, so that I can feel better about having something that is not so good for me. Thank you Lani for sharing and inspiring us! Wendy – I know what you mean – the elusive ‘tomorroww’! It helps to know that we’re not alone and thank you for coming in to comment on Janice’s story – and your kind words too. Congratulations Janice on your journey! My struggle is with my “mind” and “I want” and “I deserve”. I am always happiest when following a plant base food plan and am physically active. Debra – I am glad you point this out – it is so important to stay mindful of how much better things are in the PRESENT when we are eating and moving for health. Aside from any future goals – right now it just makes everything else work better! I agree. 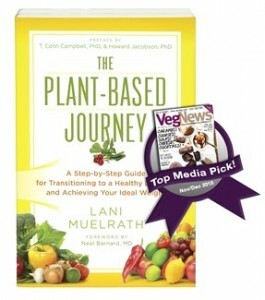 Hi Lani, thank you for posting Janice’s inspiring story and for the opportunity to win your book. Of the 3 pillars – the food, the fitness, or the frame of mind – my strength is fitness, because it has always been enjoyable for me, satisfying to see results, and lifts my mood which is a powerful incentive in itself! The food. I love to snack or graze continuously and not just eat 3 meals per day. I struggle with eating “healthy” but have a great frame of mind. I believe anything is possible. My strength is fitness. I love exercise and how it makes me feel. My weakness is mindset. It’s hard for me to stop the negative thoughts about my body and my eating. Ben, In the 23+ years that I have lived in Mexico, I've never seen peanut butter chips for sale either–nor toffee bits. But new products seem to be pouring in, so maybe they will be here soon. Reece's peanut butter cups are here, so maybe peanut butter chips aren't far behind! I truly admire Janice’s journey and heartfelt words. My downfall is the Food area because of our social networking in our 55+ community. Many folks do not understand a plant-based diet or eating schedule and are a bit offended when I bring my own food to occasions. Very challenging. I enjoy the benefits of the exercise and movement and check myself a couple of times in the day to see how or if I am standing tall. Proper movement and simple Quickies have helped remediate the posture issue. I think I finally have the food and mind set on track, but I’m still struggling with the fitness aspect. The idea of 5 minutes for a fit quickie sounds great. I’m just trying to get a routine going to try to fit these in throughout the day. Congratulations to Janice – I’ve been at this for the last four months and finally have lost 20 pounds, – with a lot more to go. But I guess slow and steady wins the race. Thanks for your encouragement Lani – your positive outlook helps us keep going. I’m 61 years young, I’ve had Type 1 diabetes since I was 13 years old. My granddaughter is 9 years old and has Spinal Muscular Atrophy which is a big stresser for the entire family. I NEED to be around for a long time! I’m having trouble losing the last 10 lbs of my weight loss goal. The biggest obstacle I see is the exercising. My mind is set and I do eat basically a plant based diet most of the time. I do lack the motivation to stick to ANY exercise program. I think it might help to read your new book for motivation. Thank you so much Lani for what you are doing to help those of us that struggle! I think “frame of mind” is the most important of the three pillars, for, if the frame of mind is set to desiring the BEST for oneself, the other two pillars become the steps on the road to that goal. Janice’s story demonstrates that and is inspirational. It was her frame of mind that urged her to want better for herself and thus she took on the challenge of re-working her eating patterns and maintaining her fitness– no doubt with some assistance from Lani. I am a plant strong woman and at age 63 (just had a birthday!) am on no medications, and feel better than I did 30 years ago! Thank you, Lani, for having this website and for all your encouragement! Janice does keep pointing that out – and it’s true, we can have the best diet and exercise plan in the world and if we can’t wrap our behaviors around it – starting with our head – we go nowhere. Thanks so much for you contribution and your kind words. Hi, Lani! Loved Janice’s story! I’ve finally gotten my appetite under control. I eat good and feel like I should not have near the problems with weight that I do. My weakness is definitely fitness. I know what I need to do, but that’s as far as it goes. Love these motivating stories! Laurie, I’m so glad that Janice story gave you a pump and a lift – it does for me too every time I read it! I’d love to hear more about your story. What do you think has helped you ‘finally’ get your ‘appetite under control’? hmmm… I’m guessing my strength is food in that I am generally able to include everything that needs to be in my diet (with some challenge with excluding those naughty things). Fitness is my greatest challenge. Either I feel too tired or I’m wrapped up in some project or other. I do feel much better when I exercise! I would have to say my strengh is my frame of mind. My weakness would be fitness, I try but always back slide or get distracted with house projects. I do okay with food but stuggle when I have to make dinners for my family because they dont like what I eat they struggle with giving up meat, its mind over matter. My strength when I’m focused is Food and Fitness, the greatest challenge to get there… Frame of Mind! Plant based seems such a great way to go, with so many health benefits, the more I read and the great results people gain, the more I lean towards that lifestyle. I’m not sure I have a strength in the three pillars. 🙁 I would have to pick frame of mind, I guess. The thoughts are there, but implementing exercise is my weakness. I get distracted by anything and everything! I could definitely use this book to give me a much needed push. Food is plant based, but I get lax about the quality sometimes. I have the most problems with mindset. I know what the right foods and exercise can do for me; now if only I had the determination and trust in doing what’s best for me. The transformation in Janice is amazing!! For me my biggest struggle or weakness is with “frame of mind”. Although I know what to eat, and how much I should exercise I do not feel these are strengths. My “frame of mind” gets in the way. I lost 15 lbs during the last five months by going plant-based. But then, I went on vacation and baked goods and processed snacks started creeping in. After awhile, it seemed that my hunger mechanisms got ruined by the overstimulation caused by the snack food. I’ve been having a tough time getting back on track with simple plant-based eating and regular exercise. I know I just need to get rid of all non-plan food and go for daily walks (or jogs) and get to the gym regularly. I do find that getting the food right is the most important aspect of the health/weight equation for me. That and not overeating. When I lose weight, it becomes easier to exercise, because my body doesn’t feel as weighed down. Having support would be helpful too. I feel like Janice’s twin sister. It is a challenge to pick just one of the Pillars. One needs all three to hold up the structure. Like a 3 legged stool. Pull one off and you fall. However, I am up to the challenge. I would say state of mind because the mind will control my behavior on the food and fitness pillars. State of mind is rock bottom primary – it’s the strong foundation I will stand on. I cannot even stand let alone dance on a shaky foundation. State of Mind is what I need to work on the most. I struggle with the food. I wish I had an “eat this” and see weight loss results. Its very confusing to read one well known doctor tell you that eating potatoes are OK and then another says no potatoes. My mindsetis “you are what you eat” and I do eat plant based but the weight loss is just not happening. I walk as often as possile with lower back pain limitations. Thank you both so much for sharing this story. Quite an accomplishment Janice! Good going and keep up the good work. I love seeing these transformations. My greatest challenge is proving to be my “frame of mind.” I love to eat plant based and I try to be active on a daily basis, yet there are many times when my mind will say “eat” when I’m not physically hungry or talk me out of exercising, and thus, sabotage my efforts. It’s proving to be such a struggle. I’m finding it’s not getting easier as get older, but in reading your story, Janice, gives me encouragement I can do it! I am most humbled by the comments expressed about my journey. As I have said before I felt lost and Lani helped me find myself! I will be forever greatful! Thanks to all!